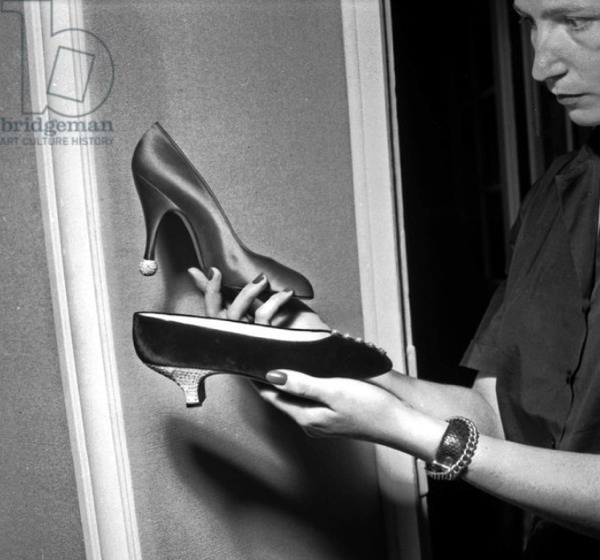 Two years into the Dior-Delman manufacturing deal, Roger Vivier showcased this model soon to be well esteemed thanks to a signature ball heel as a top piece. 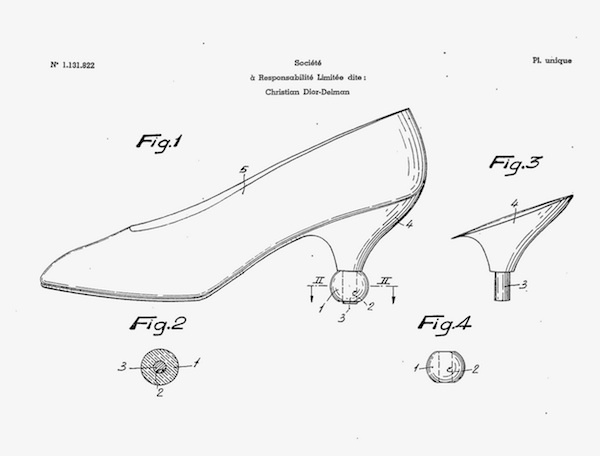 The ball heel design was filed for patent two months after the official showcase (October 5, 1955) and attributed to Dior-Delamn, not Vivier so that it remains unknown who actually designed the heel. SO, WHY THEY KEEP SAYING 1953? 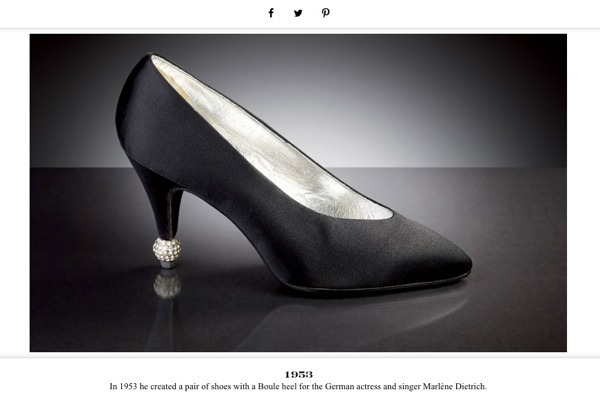 In 1953 he (Vivier) created a pair of shoes with a Boule heel for the German actress and singer Marlene Dietrich. 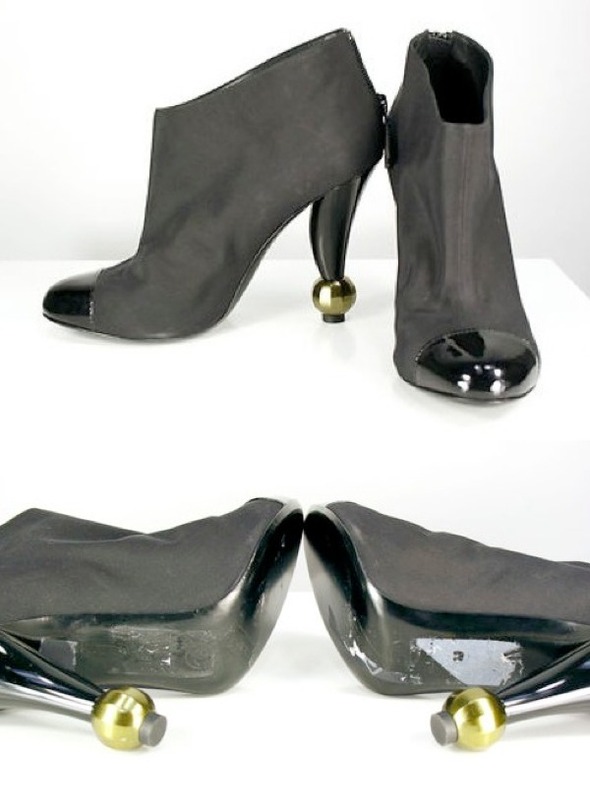 - 2 - it was clearly not created for, but later custom made for Marlène Dietrich. 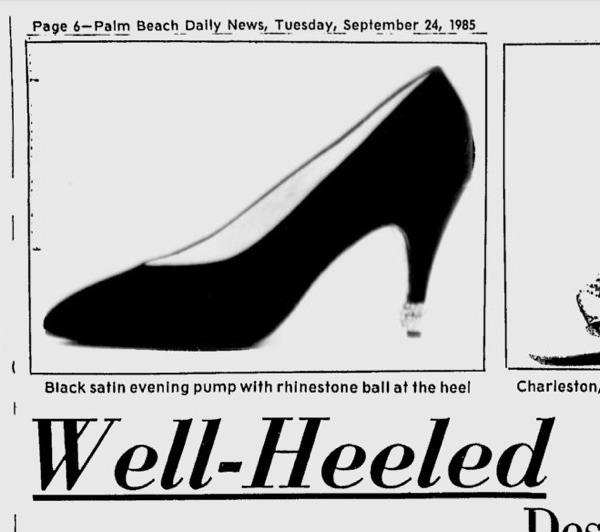 Apparently it was really a shoe favored by the German star as the model kept at FIDM (Fashion Institute of Design & Merchandising, Los Angeles) bear a slightly different insole label (Delman logo and "Especially for MARLENE DIETRICH, while the shoes in the trunk carry the logo and the writing "Custom made especially for MARLENE DIETRICH). 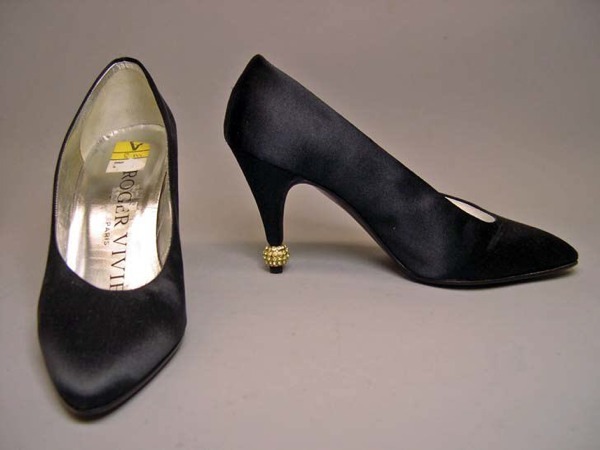 Also, what it is commonly known as the 1987 replica was actually made two years before  to celebrate the opening of the Vivier store in New York (965 Madison Ave.). 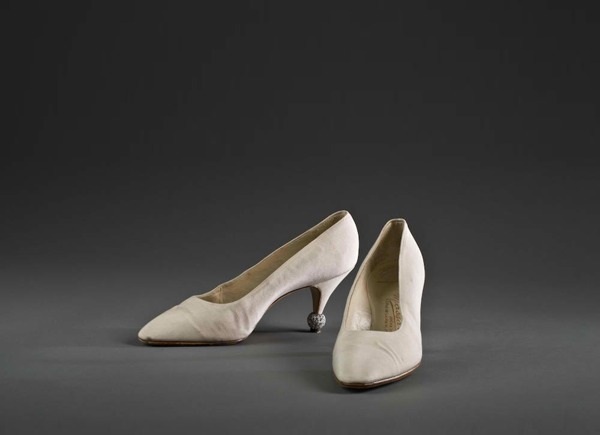 It was later featured for the Vivier retrospective at the Musèe Des Arts De La Mode Paris (Louvre). It's easy to spot it as the rhinestone ball is placed a little higher than the original. 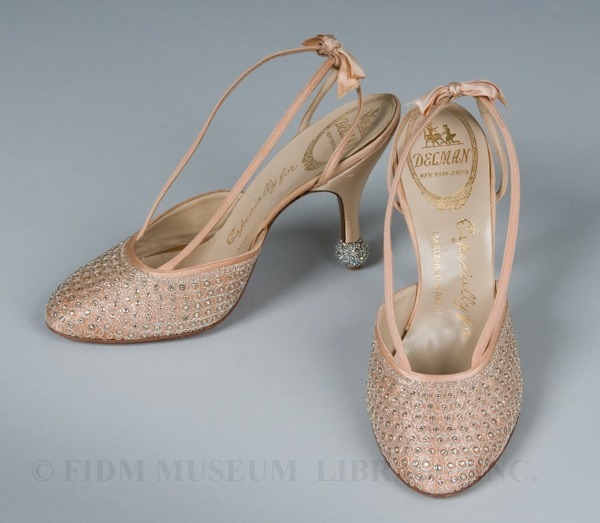 Fine vintage Roger Vivier heels custom ordered by Dorothy McGuire (McGuire Sisters). 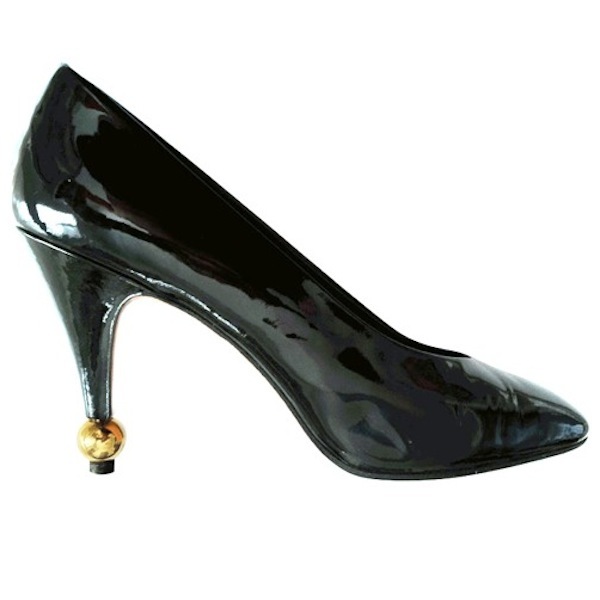 Black patent leather items with gilt metal 'ball' heel tips. 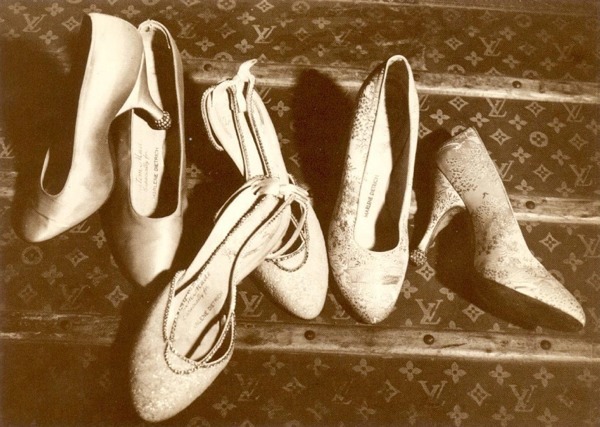 Items rarely (once or twice) worn in a dry climate. 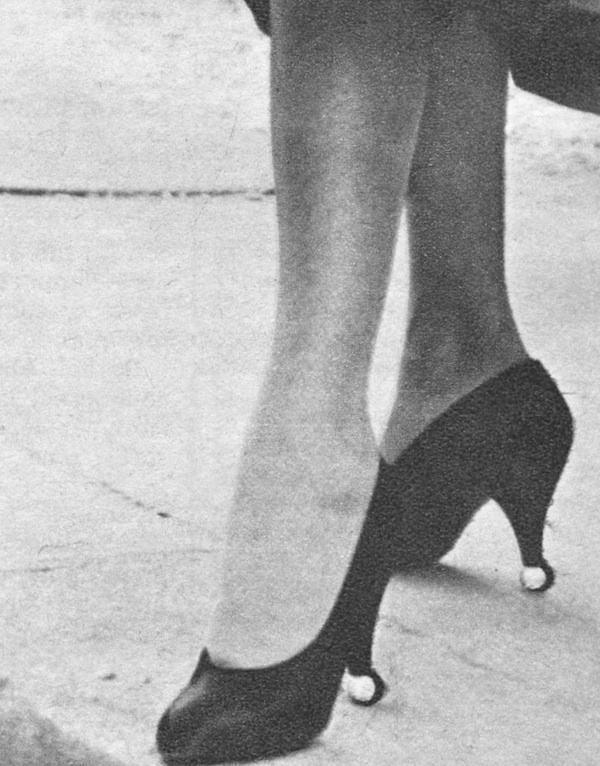 Source: Shoes. The ultimate accessoy. Raymond Massaro is the grandson of Sébastien, the founder of the family firm. 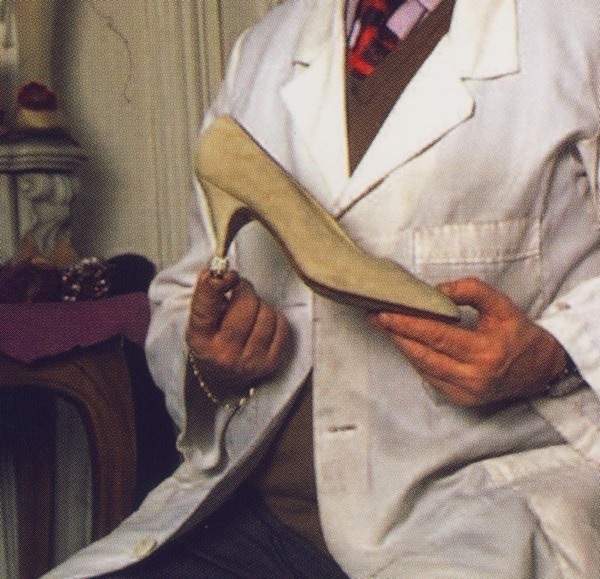 Raymond modernized the firm but he has never abandoned his commitment to the craft of the cordwainer. 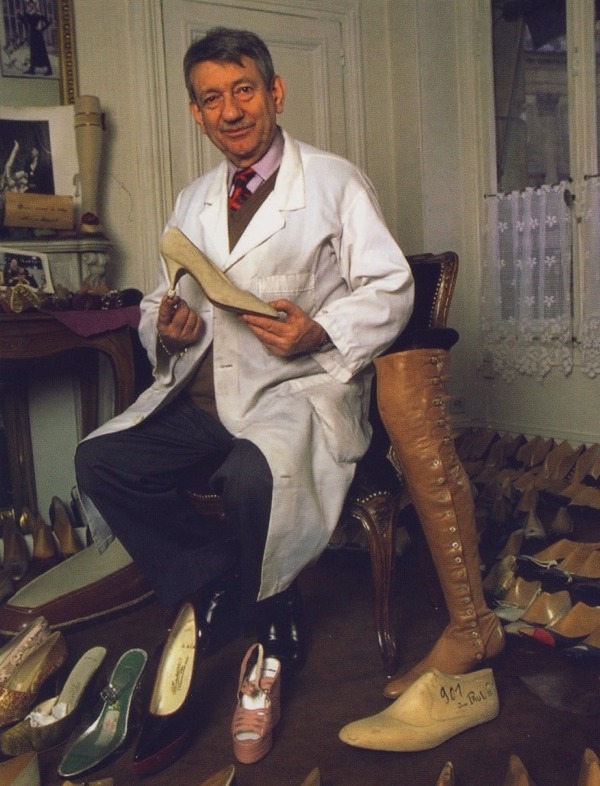 He is proud to be photographed surrounded by the wooden lasts and innumerable shoes and boots in the Massaro workshop. 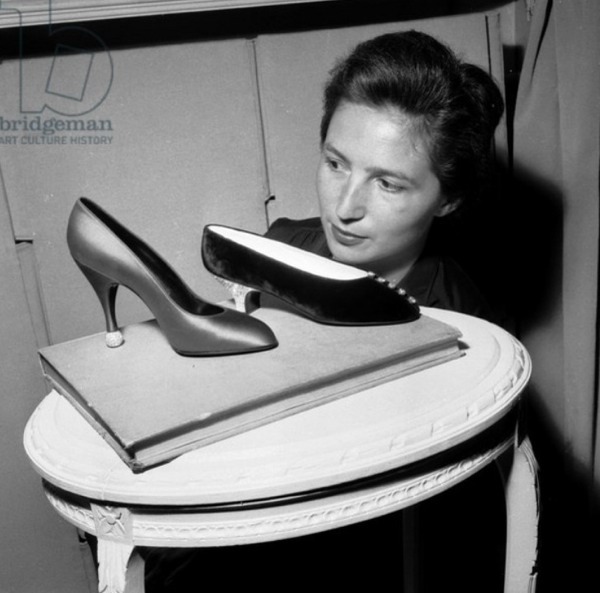 Although unlikely it could have been as if the celebrated artisan would have paid Vivier a tribute. The photograph from the Aguttes Auction catalog came from the book "Vivier" by Pierre Provoyeur (Editions du Regard p.52 - 1991). We didn't meant to be disrespectful toward rogervivier.com; we said that their data are unreliable simply because they are not the custodians of the Vivier archive; the brand Roger Vivier bought in 2013 a fraction of the actual archive at the well known Aguttes auction (the first one), so they still have a long way to became the authority in all things Vivier. 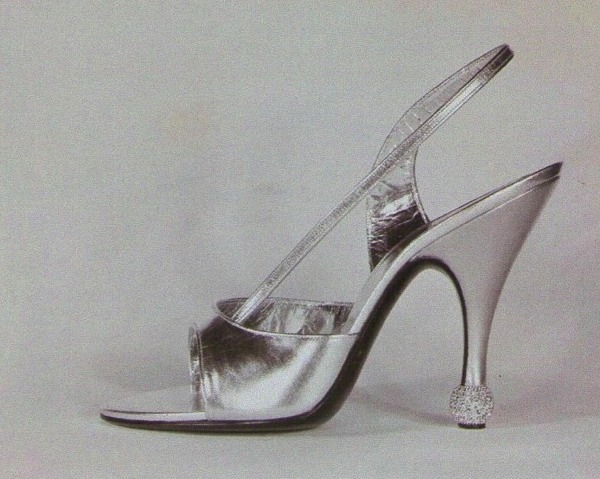 "The newest Vivier shoe has a very low back on a very high heel decorated with a pav'e (SIC) rhinestone ball.